It’s not all bad news for Olympus—or at least fans of its digital camera products. As rumors of a sale to Fujifilm hit this morning, the company also announced its new micro-four-thirds lens. The M.ZUIKO digital ED 12-50mm F3.5-6.3 is a hybrid product for the MFT series: it’s both an electric and manual zoom lens. With a zoom ratio of 4.2x, it should be versatile in a few other ways as well. Wide-angle and telephoto-range shots can be accomplished with the same lens—macro mode focuses between 8-20 inches. However the F6.3 at 100mm is a bit shallow for your max aperture–which is a bit of a let-down. But there are features to make up for it, such as AF suspension. You can turn AF bracketing off when you’re zoomed in on something and an object suddenly flies by your barrel, throwing the focusing system off. Olympus also says the new lens should relieve some video capture headaches. While we’re fans of movie recording quality and capability from the MFT line-up (the E-PL2 has specifically been praised for its video production), we’ve found AF and zooming somewhat noisy during use. This new addition to the line has a new linear motor for quieter autofocusing and altogether smoother use–shaky hand syndrome be damned! This is really a lens made for those who don’t only use their MFT for stills but for video regularly as well. 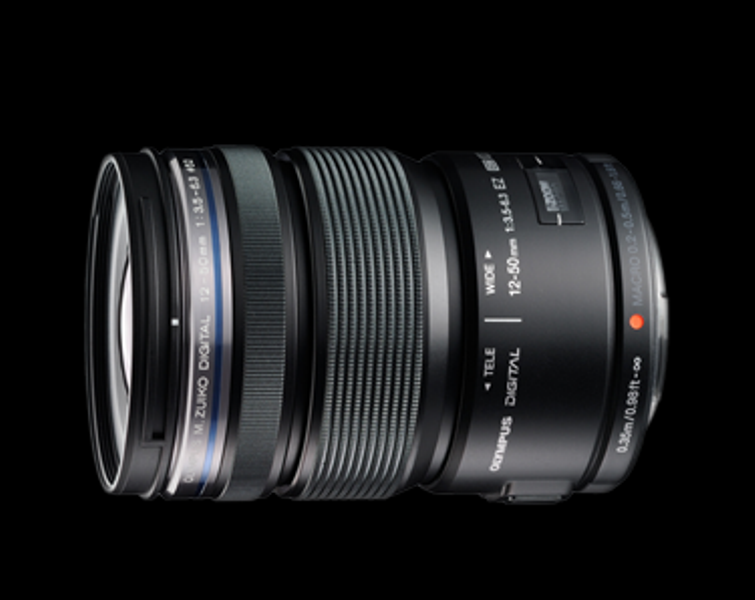 It will also be the first MFT lens for Olympus to be able to take a beating—at least more of a beating. It will include multiple sealing rings to keep the lens a little safer from dust and water. The lens will be available in mid-January 2012 for $499.99.